Rosie, 20, is studying for a degree in Biology at Sheffield University and grew up in Birmingham. She spent two weeks doing work experience with the Stemettes team in September 2016. I have been following Stemettes on social media for a few years and really admire the work they do. As someone wanting to go into Science Communication and particularly interested in how to get more girls into STEM, I thought I’d send the Stemettes an email about work experience. A few weeks later, I was headed down on the train to London to begin my two weeks at their HQ! I arrived at the office and met the team, all of whom were so friendly and welcoming, and I learnt about their different roles and the organisation as a whole. After being given the welcome introduction, I was put to work with using Buffer (the website used to schedule tweets), where I found relevant news articles about women in STEM and wrote tweets. After lunch, Charlotte, Anne-Marie and I headed over to Monster HQ where I took notes in a meeting with Sinead (EU Marketing Director at Monster) about the upcoming #MonsterConfidence event in Glasgow. The day ended at the incredibly swanky Shoreditch House, where I got to work on a blog post and tried to not seem like I was scanning the room for celebrities! Having fun at the Student to Stemette matching event in Salesforce Tower, London. Rosie is second from the right. 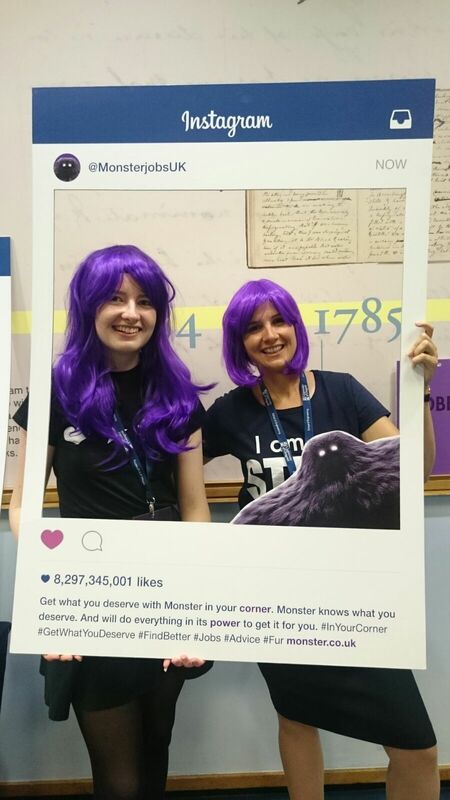 The next few days were busy and exciting, with final preparations underway for the many events scheduled the next week, including two Student to Stemette matching events and the first #MonsterConfidence! Along with travelling around central London, I was set to work with phoning and emailing universities and colleges, updating spreadsheets, creating documents such as interview tips for volunteers, and making up goody bags. The second week was where I got to see all the team’s hard work put into practice as I attended the London and Birmingham Student to Stemette matching events. Both were a huge success and it was inspiring to see all the eager young students so engaged in conversation with their possible mentors. After the Birmingham event, there was a tight turnaround as Yasmin and I had to jump into a taxi and speed off to the airport to catch our flight. Luckily, we got to our gate and made it to Glasgow where we met the rest of the team, ready for #MonsterConfidence the next morning. We arrived at the Engineering department in the beautiful University of Glasgow and set up the stands and banners for the day. I was put in charge of social media, so once the students started to arrive I was set with chronicling the events of the day through tweets, Instagrams and Snapchats. 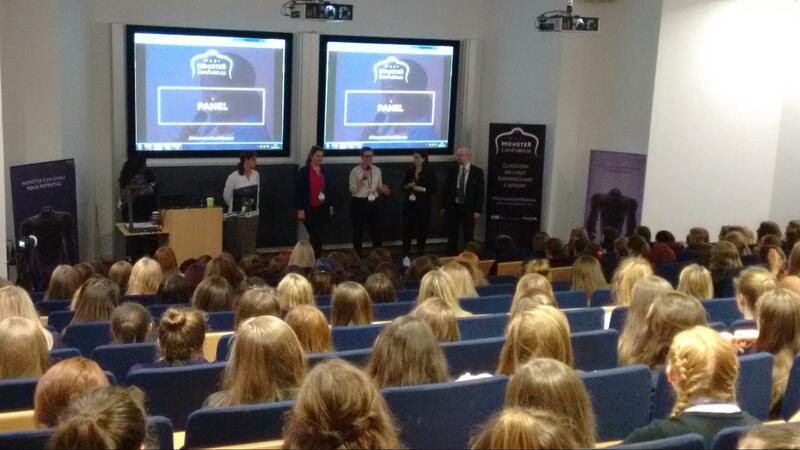 The event was a triumph, and even though I was busy running around taking photos, it was so exciting to see the keynote speeches by Professor Muffy Calder and Jenni Doonan, as well as going to the different workshops, all giving very useful advice on interviews, CVs and confidence. The students and volunteers left with huge smiles on their faces, and from talking to a few, I got the sense they had thoroughly enjoyed the day and found it valuable for their careers. It was amazing to see such hard work pay off and for the event to run so well. We celebrated afterwards in a lively bar and headed back to the hotel for a well-earned rest. I didn’t feel ready for my time with the Stemettes to come to its end but I thoroughly enjoyed the two weeks I had and the experience working with such a great team on an important cause. If you would like to spend a week with the Stemettes, email a copy of your CV to stemettes@gmail.com and we’ll take it from there. 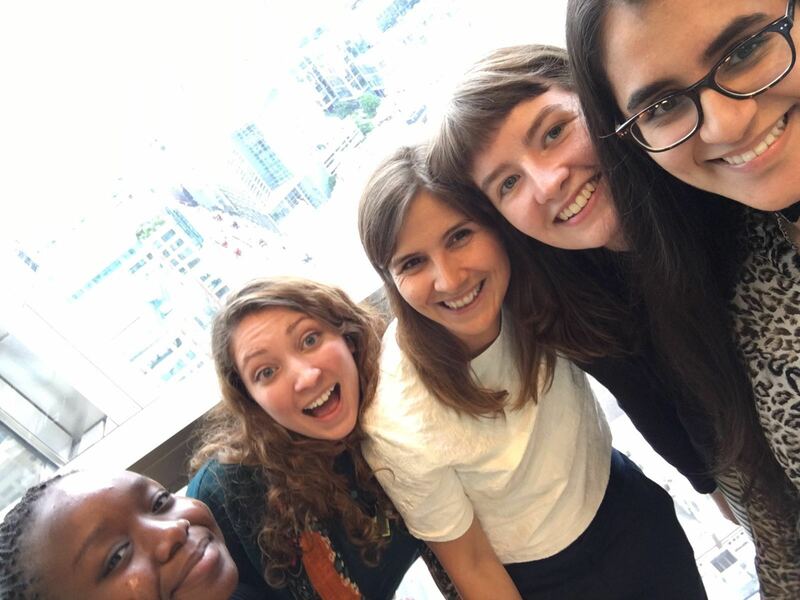 If you’d like some work experience with other women in STEM, look out for new opportunities on OtotheB or apply for our Student to Stemette programme.